Sebastian Vettel says Ferrari has the "ingredients" to take a successful fight to Mercedes in 2019, having fallen short the past two years. Vettel has been runner-up to Lewis Hamilton over the last two seasons, with Ferrari also in second place to the Silver Arrows. Ferrari closed the gap in terms of pure pace last year and appered to have a quicker car for a long stretch of the season – a novelty in the V6 Hybrid era. The Scuderia couldn't capitalise, however, as mistakes on the track and pitwall hampered their efforts, before an upgrade package brought to Singapore only served to make the SF71H slower. 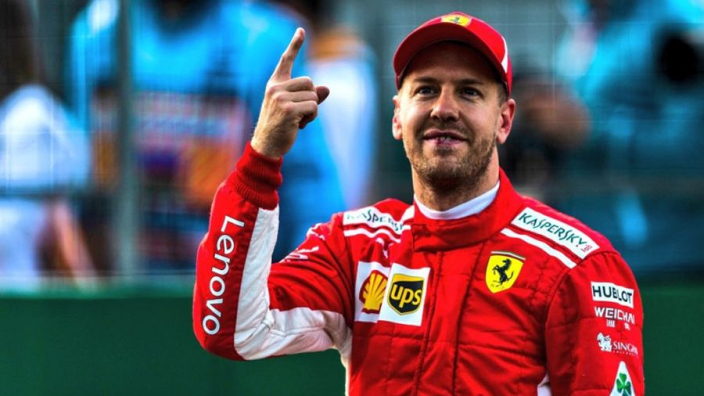 Racefans quotes Vettel as saying Ferrari has "got the ingredients" for success in 2019 and "it's down to us to do the job". "It's difficult to say at this time of year," he added. "Everybody's still in the dark, we're waiting for the cars to come and then get a feel and we'll see in the first race. "But looking forward, it'll be a big challenge, what we want to achieve I think is clear. In terms of support I think here also there were a lot of Ferrari fans so we're not lacking in terms of support." Vettel was in action over the weekend at the Race of Champions, racing the Nations Cup final alongside Mick Schumacher, before a defeat to Ferrari's latest junior signing contributed to his early elimination from singles action a day later. "I think it was a fun competition, I would have liked to go a bit further, to drive a bit more, but sometimes it's like this," he said. "Nevertheless it's been a great day, a great two days with a great crowd coming today and good support. I think we all enjoyed it."